A Contempt Petition moved by Advocate JS Ajith Kumar has been listed for hearing on Monday before the Kerala High Court. According to the Petitioner, the Petition is moved to uphold the dignity, prestige, pride and credibility of the High Court of Kerala which he is prominent part. The petition is listed for hearing before the Chief Justice’s Court. Senior Advocate K. Ramkumar will be appearing for the petitioner. G.D. Vijayakumar (CI, Central Station, Ernakulam), Nizamudeen (CI, North Police station, Ernakulam) and Siby Tom (CI, South Police station, Ernakulam) ,Wilson Vadakkumcherry (Reporter Channel), Ravikumar (President, Kerala Union of Working Journalists, Press Club, Ernakulam), Praveenkumar (Senior Video Editor, JaiHind T.V.) and Salam P. Hydrose (Chief Reporter, Asianet) . The Petitioner stated that on 20.07.2016 at about 2.30.p.m. there was a violent demonstration organized by a Section of media persons came in a procession in front of the third gate of High Court of Kerala and started blocking the road situate to the High Court Building forbidding vehicular traffic and pedestrian movement completely preventing the freedom to the citizens to pass and re-pass through the High Court road. They were purportedly protesting against the lawyers of some of their imaginary grievances. It is also alleged that the respondents did not take any permission from any police authorities or Registrar of High Court of Kerala for conducting protest and blockage in front of the High Court building. They were blocking the road and in blatant disobedience of the judgment of the division bench of the High Court of Kerala in George Koshi Vs. State of Kerala reported in 2002 (3) KLT 503. The Petition further stated that the aforesaid conduct of respondents constitutes to civil contempt under the said expression is understood in terms of Section 2 of Contempt of Court Act, 1971. “At any rate the respondents are consciously aware of judgment of High Court of Kerala. But the Police allowed the respondents 4 to 7 and their associates to continue to block the road preventing the ingress and egress of the petitioner as well as general public. The respondents 4 to 7 continued to block the road challenging the authorities to take action against them if they violate the court orders”, stated the Petition. The State Government shall ensure that the court premises are kept separate from the Government offices both in the District Headquarters and in other places. The Chief Secretary shall formulate and forward a proposal to the High Court within a period of three months from today to effectuate the above direction. The Registry shall monitor the steps taken by the Government in this regard and seek appropriate further directions from this Court to ensure that separation of the courts from the Government office premises is completed within a period of 3 to 5 years. Until separation of the court premises from the Government premises is done, the State Government shall provide an exclusive entrance for the use of the courts, their officers, staff, lawyers and litigants which shall always be kept secure from obstruction and blockade by adequate police force who shall be responsible to promptly remove any obstruction or blockade and who shall also act as directed by the Judge presiding over the court. It shall be the duty of the Presiding Officer of any Court, including the District Judges to promptly report to the High Court any attempt made by anyone to interfere with the ingress to and egress from the court premises of Judges, court staff, Advocates and their clerks or litigants. No slogan shouting with or without the use of loud speakers shall be permitted within the vicinity of Court premises which would have the effect of disrupting or disturbing the working of the court premises. As to whether there is such disturbance, the Presiding Officer of the Court shall be the sole Judge. The District Collector and the Superintendent of Police shall be responsible to forthwith remove the cause for such disturbance. They shall also ensure the implementation of the noise pollution rules in this regard. 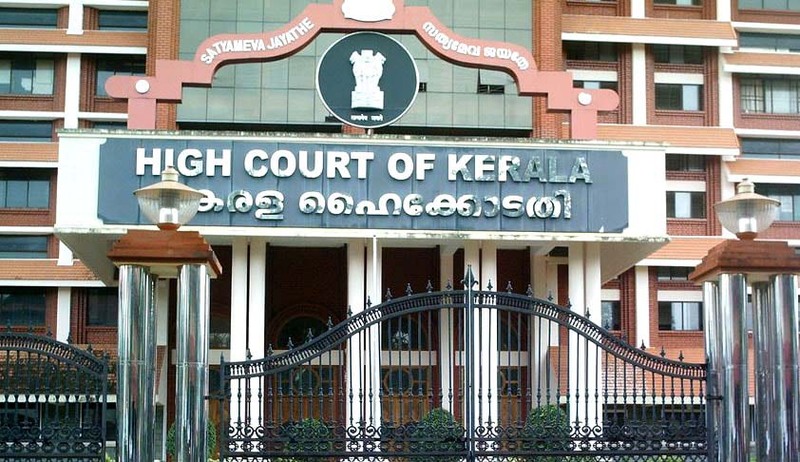 On 25th July 2016, a Division bench of High Court of Kerala, comprising of Acting Chief Justice Thottathil B Radhakrishnan and Justice Anu Sivaraman directed the Police machinery and Government to impose the following restrictions in view of incidents happened in last few weeks between Media persons and Lawyers. Read more news about Media vs Lawyers here.